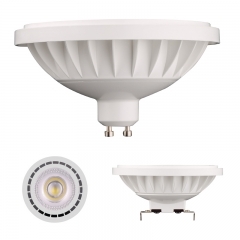 Best choice for restaurant, hotel, housing lighting, balcony, dinning room, balcony...etc. 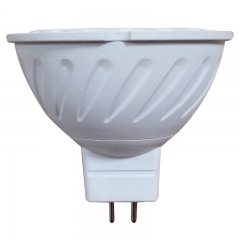 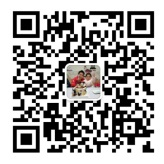 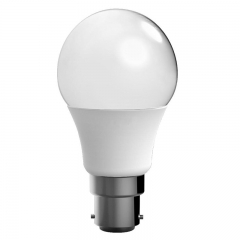 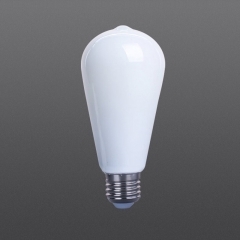 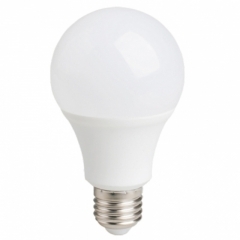 Good replacement for traditional incandescent bulbs, CFL, energy saving lamps, it feels you feel more special, more romatic. LED filament dimmable bulbs G80 Clear color,2W,4W,6W,8W, Ceramic filament or glass filament, Clear color, Strict production procedure, more energy saver, and longer life time. 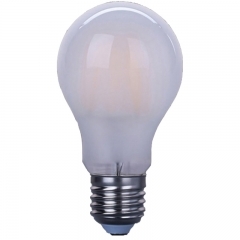 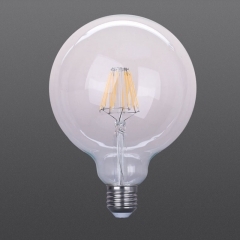 LED Filament bulb ST64 shape,2W,4W,6W,8W, Glass material, E27/E26/B22 base as option, Ceramic filament or glass filament,white color, good replacement for traditional incandescent bulbs, but higher lumen, more energy saver, and longer life time. 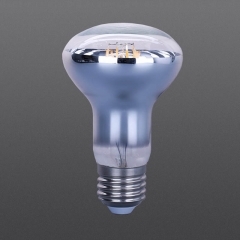 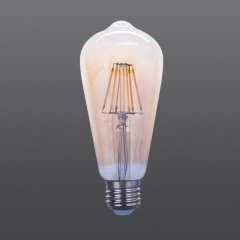 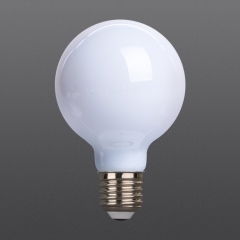 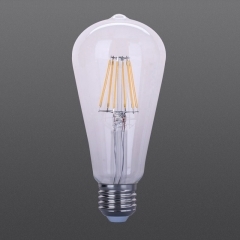 LED Filament bulb ST64 shape,2W,4W,6W,8W, E27/E26/B22 base as option, higher lumen, more energy saver, and longer life time. 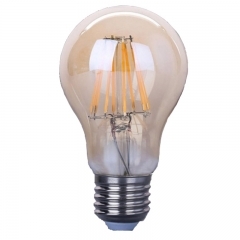 LED filament bulbs ST64 Amber 4W 6W 8W, E27/E26/B22 base for choice, Glass material, Ceramic filament or glass filament, Amber bulbs, good replacement for traditional incandescent bulbs, more energy saver, and have a longer life time. 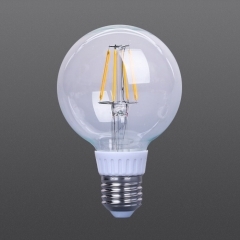 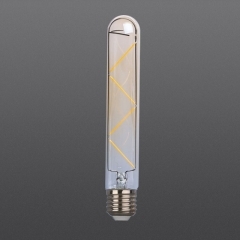 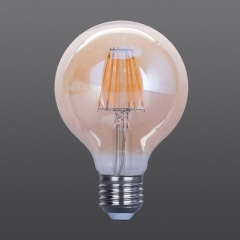 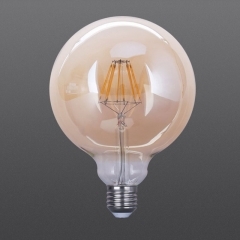 LED Filament bulb G125 shape Amber color 2W,4W,6W,8W, Glass material, E27/E26/B22 base as option Ceramic filament or glass filament, the good replacement for traditional incandescent bulbs but higher lumen, more energy saver, and longer life time.